Rest is hard when you have so many to do lists, it’s end of the year at school, parent demands, planning, and don’t forget the daily stuff that has to be done. Rest is especially hard for my personality. My brain is always on the go and ready for some kind of adventure. It is even hard for me to truly rest while I’m in recovery from surgery. I have tried and I have been forced too. But I have to share I have come to really see a potential love for rest. We all need rest. We all have busy lifestyles especially in this modern day world. Were constantly on the go, social media and shopping on line at our fingertips any time of the day. We have practices, schedules, work, errands, birthday parties, doctor appointments, homework, and whatever else you can throw in there. I had major surgery two years ago and I was forced to rest and I wrote down a plan to continue when I was fully recovered and back on the mommy duties full time. I am planning and carving out time for rest. To be a better me. A better mom. A better friend. A better wife. So here’s my plan I think will work for me and my life right now. 1. Stop and Be Still. Whatever your beliefs are be still.I believe in God and I believe in the verse “Be still and know that I am God.” Psalm 46:10 I am going to make sure to apply that more to my life. Rather than just memorizing the scripture I need to live it. For some reason this simple verse can be oh so hard especially in a difficult time. But I truly need to wrap this verse around my soul for good times too. Sometimes all the the good things we are doing are good but not exactly God’s will. So be still. 2. Learn to say no. This is something I have needed to work on for years. I love to help everyone. I don’t like to say no because I feel guilty. However, by not saying no sometimes I am doing more damage than good for myself and for them. I overextend my self. I commit to too much and then I am left feeling like my world is crashing trying to please everyone and complete every project. It’s ok to say no. If you know it will not be a good outcome or you can’t do your best for you and them be honest and just say I can’t right now. 3. Me time. I know it’s hard especially if your season is to raise little ones. It doesn’t matter if your a working mama or a stay at home mama it is hard. Motherhood is exhausting yet fills you up, chaos yet blissful, makes you wanna pull your hair out yet you love those little stinkers with all your heart. If your a mama, you get what i just shared. If your a mama and you haven’t been good at “me time” yet, please start! I am still not good at it but I recognize I need it. Be it in the bathroom taking a relaxing bath with peace and quiet, a quiet dinner with your girlfriends, bible study for moms, whatever you can do even just once a month will refresh you. I have had a few opportunities this year so far and I am so thankful for it. 4. More play less work! I know it sounds crazy!! What I mean is quit stressing over that basket of laundry and the to do list. Rest with your kids. Play with your kids. The work will always be there. Your kids wont. They really do grow so fast. If your little one is tugging at your leg mama let’s play hide and seek. Put the dish towel down and go play hide and seek. The dishes will be there when your done. The excitement and feeling that your child will leave with is priceless. 5. 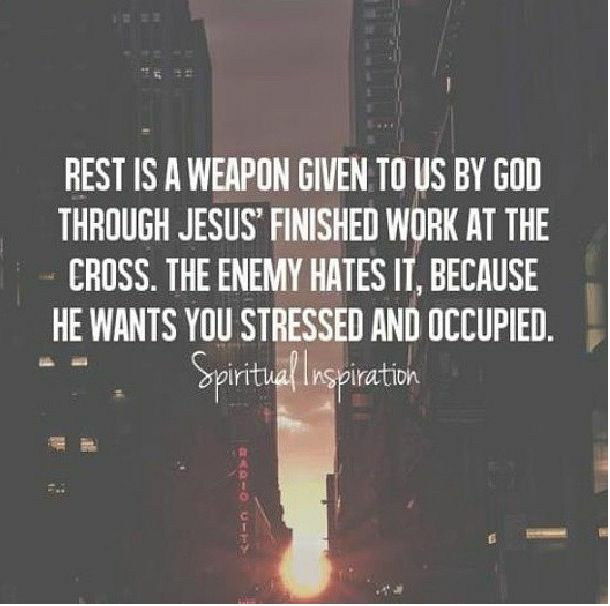 Rest in Jesus. I will rest in the fact that I am fearfully and wonderfully made. I will rest in my family and this life with the confidence that he is taking care of everything. Every tiny detail. I will trust that all my heartaches he will heal and HE is SOOOO much bigger than anything I will face each day. My soul will rest in the arms of Jesus. I will rest so God can refocus my heart and mind for his will not mine. I will rest because he is here, he will hold it together, and he is God. So those are my five ways to find more rest! I know it’s not necessarily sleeping but it’s the rest I need. Do you need rest? What ways do you find rest?